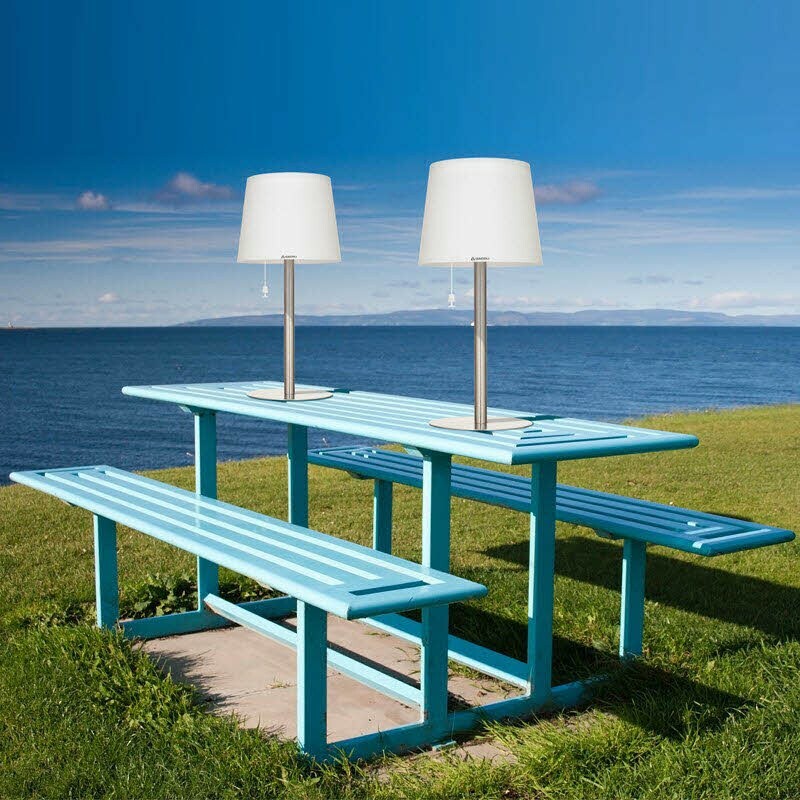 Monroe's standing lamp creates a convivial domestic atmosphere outdoors. 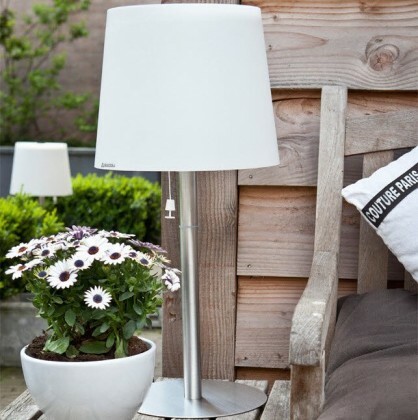 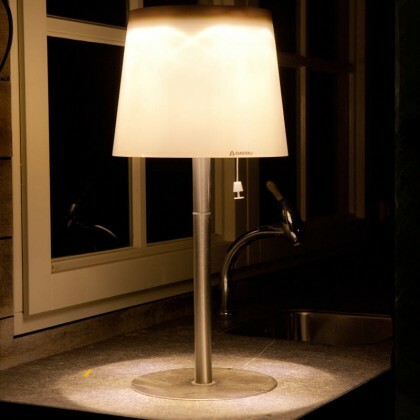 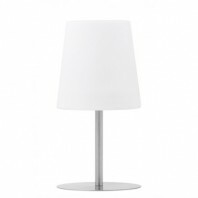 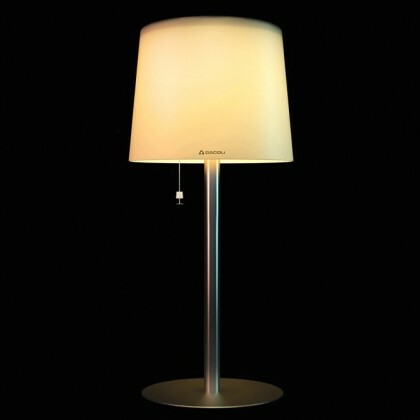 The Monroe garden lamp by Gacoli and comes with a stylish, flat, stainless steel footplate. 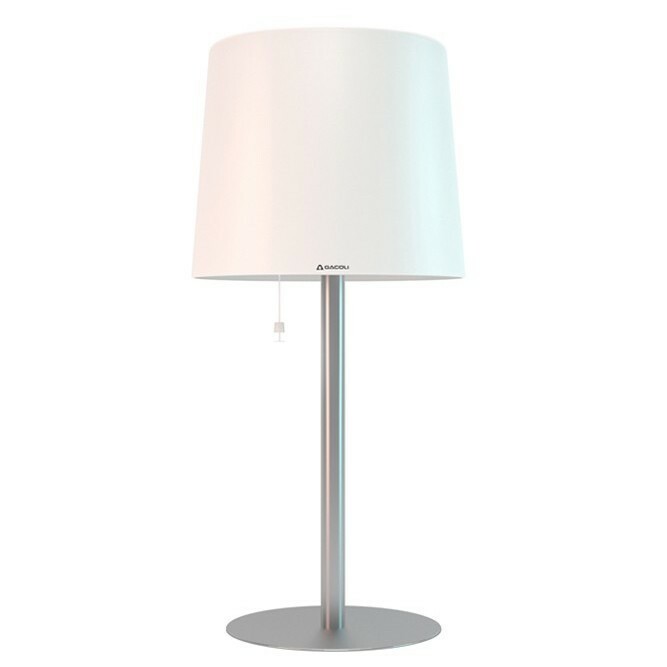 This model comes equipped with an ‘EMU system’ with 24 sustainable, warm white LED lights that you can control with the remote control included. The lamp is lovely and compact, which makes it easy to move it from place to place. Do not fear damaging your Monroe because this lamp is resistant to all kinds of weather conditions, as are all our lamps, so you can leave your lamp outside the whole year around without giving it a second thought. 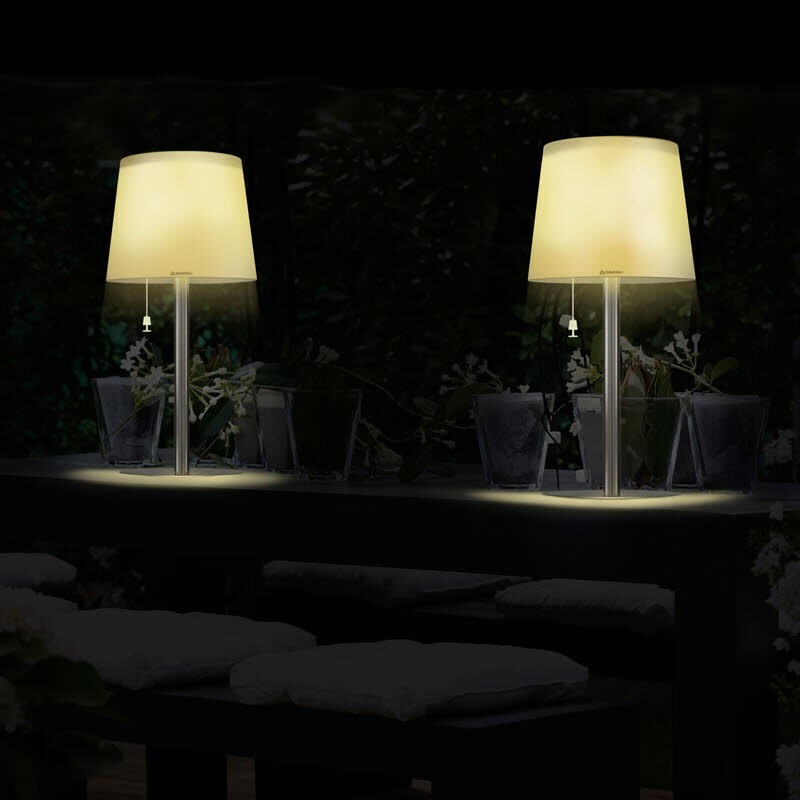 Gacoli’s Monroe outdoor table lamp uses nothing but solar energy, and so doesn't require electricity.This makes it entirely cord and wire-free. 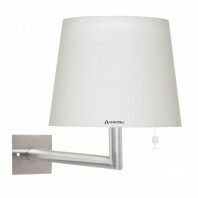 No cords or wires means this Monroe model is easy to move around which is of course highly practical.